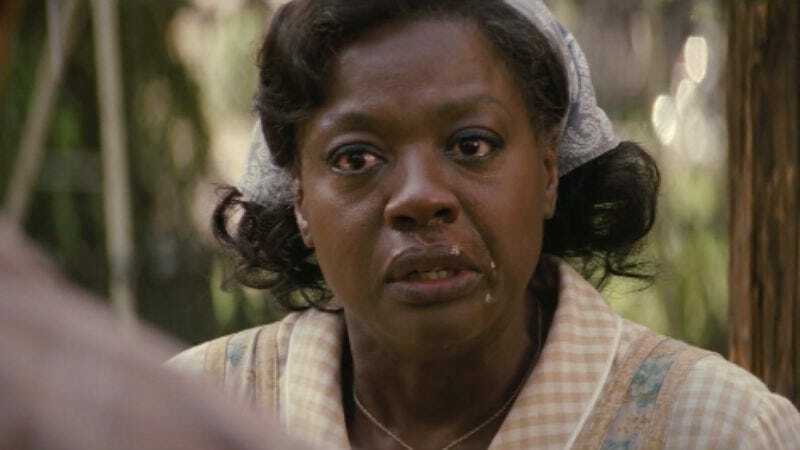 In Fences, the new adaptation of August Wilson’s seminal play, Viola Davis delivers a searing speech wrought with betrayal. She plays Rose Maxson, the wife of the self-mythologizing Troy (Denzel Washington, who also directs). When Troy makes a stunning, yet calm, admission of infidelity, she’s hurt and furious. She’s a loyal wife, but her desires and needs have been underestimated and ignored by her spouse. Davis plays this viscerally to excruciating effect, and now you can see an exclusive clip of that moment here on The A.V. Club. Wilson’s play about an African-American family in 1950s Pittsburgh was awarded the Pulitzer Prize back in 1987, and Washington delivered a film that is reverent of the text. While James Earl Jones and Mary Alice starred in the original production, It was revived on Broadway in 2010 with the two stars of the movie. Davis won a Tony for her performance then, and now, she’s taking it to the Oscar race for Best Supporting Actress. You can bet you’ll see the above snippet played over and over again as awards are handed out in the coming months—she’s already received Golden Globes and SAG Awards nominations and won the Critics Choice. Washington, for what it’s worth, also won that theater accolade and is collecting his own set of nods this year for work The A.V. Club called “magnetic“ and “layered.” Fences is open in limited release, and is expanding on Christmas.